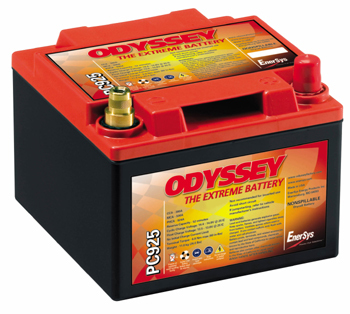 Our most popular Odyssey battery for hot rods, dune buggies, and a great replacement for most factory batteries. A lot of power in a small case. Can be mounted in any position except inverted. Will replace group 51 sized batteries when mounted on its end. Available with brass top post dual use terminals and in the post configurations shown below. Can be purchased with or without the outer steel metal jacket designed to protect the battery from rubbing other objects or when it is located near a heat source. The PC925 Odyssey battery has a 3 year full replacement warranty. 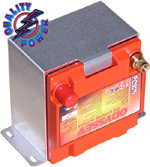 Dimensions: Length 6.64" Width 7.05" Height 5.04"
CLICK HERE to see specifications and dimensions for all of our Odyssey� batteries.